When working in cold conditions, it's vital that you can keep your hands protected from the temperature as well as other hazards. 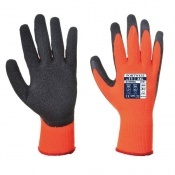 The MCR Safety WL1048HP1 Winter Lined HPT Palm Coated Safety Gloves feature a warm acrylic liner built-in, providing exceptional warmth in cold weather. A HPT coating provides water resistance and a great grip in oily and wet conditions. 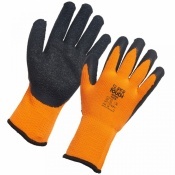 Made to keep hands warm in cold conditions, the MCR Safety WL1048HP1 Gloves feature an acrylic liner built-in. This dual layer design helps keep hands warm while also maintaining glove flexibility in cold temperatures, making tasks easier to perform. To help ensure that safety and performance is maintained, the MCR Safety WL1048HP1 Winter Lined Gloves feature a HPT coating on the palms and fingers. 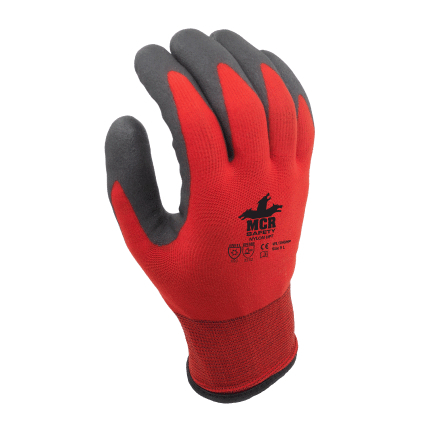 This helps make the gloves water-repellent and gives the wearer a fantastic grip in wet, dry and oily conditions, helping you to hold and carry items safety and easily. 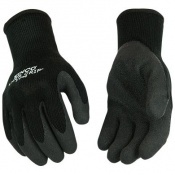 Making the gloves feel fresh every time, they also feature an antibacterial treatment. This helps inhibit the growth of bacteria to help the gloves stay clean and hygienic for longer.